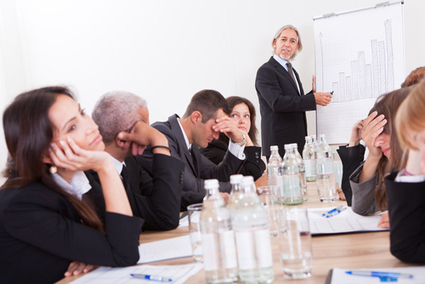 Too often, people sit silently as meetings meander off course and drag on far beyond the scheduled time. Joseph Grenny provides seven ways attendees can get meetings back on track, such as restating problems and making sure everyone understands their responsibilities. To read the full article in the Harvard Business Review, click: 7 Ways to Stop a Meeting from Dragging On.